Go For A Drive In This Chevy! If you’re looking to purchase a new SUV, definitely check out this auction! 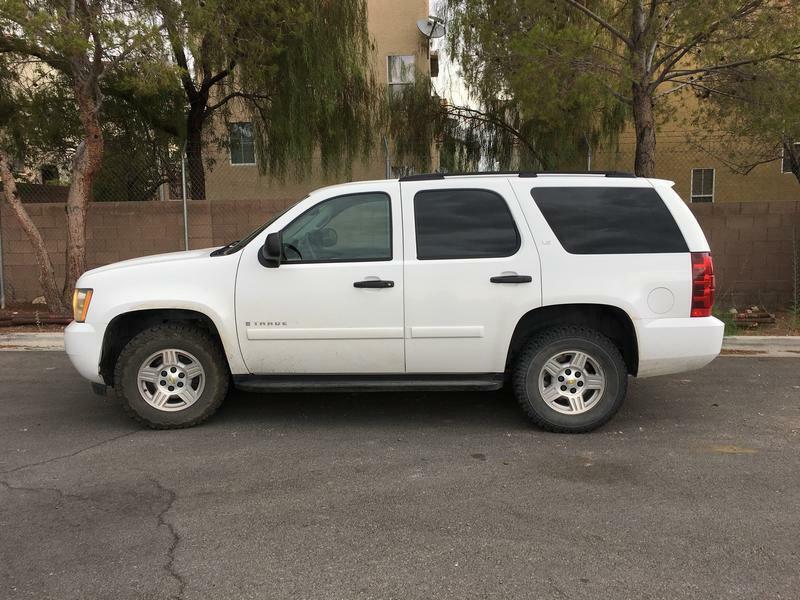 This lot features a 2013 Chevrolet Tahoe SUV. This bright white 4X4 vehicle has a 5.3L, 8 cylinder gas engine and comes equipped with AT, AC, PS, PL, PW, PM and more! There are currently 137,728 miles on this car. Purchasing a new SUV can be expensive costing upwards of thousands and thousands of dollars, but if you bid on this auction before closing time you can have a chance at owning this awesome car for a special price that’s unbeatable! If you would like to inspect this car in person before deciding whether or not to place a bid then you must contact the custodian ahead of time to schedule an appointment. Minor repairs may be required. SOLD AS IS. This auction is located in Redding, California and the closing time is on March 16 at 10:00 am central time. Right now, the current bid is at $3,722 USD and there have been 9 bidders so far, so make sure that you become the very next person to bid and have a chance at driving this great car home! For any further information, simply click here to subscribe to www.governmentauctions.org for your FREE 3 day trial. Ride Home In This Car! This amazing car is up for auction! This lot consists of a 2015 Chevrolet Malibu with 45,100 miles currently on it. This compact sedan comes equipped with a 4 cylinder gas engine, automatic transmission, power steering, power breaks, AC and AM/FM/CD. New cars can cost you a fortune, but luckily not with this auction! If you bid on this auction before closing time you can have the chance of bringing home this awesome car for a price you will not believe! In terms of deficiencies, there may be some minor scratches and dents, but nothing that cant be easily fixed or replaced! If you would like to inspect this vehicle in person before deciding whether or not to place a bid then you must contact the custodian ahead of time to schedule an appointment. This auction is located in Waverly, Nebraska and the closing time is on December 13 at 11:00 am central time. Right now, the current bid is at $9,000 USD and there hasn’t been any bidders so far so make sure that you become the very first person to bid and have a chance at winning this great new ride! For any further information, simply click here to subscribe to www.governmentauctions.org for your FREE 3 day trial. Hey! Check Out This Chevrolet! Are you in the process of buying the perfect car? Well, get ready to make room in your driveway because this auction is going to drive you home! This auction has one lot that features a 2010 Chevrolet HHR. This vehicle is white in color, and has 54,393 miles on it. This vehicle comes equipped with a 4 cylinder gas engine, automatic transmission, air conditioning, power windows, power door locks, cruise control, power steering, tilt wheel, dual/side air bags, AM/FM radio, CD player, remote keyless entry, and rear window wiper. The tires are in fair condition. In terms of deficiencies, the windshield is cracked and there is a small dent in the left side passenger door. Other deficiencies are unknown and repairs may be required, so if you would like to inspect this vehicle in person before deciding whether or not to place a bid then you must contact the custodian ahead of time to schedule an appointment. This auction is located in Great Falls, Montana, and the closing time is on March 24 at 10:20 am central time. Right now, the current bid is $2,989 and there have been 7 bidders so far. For any further information, simply click here to subscribe to www.governmentauctions.org for your FREE 3 day trial. This Malibu Can Be Yours! Have you been shopping around for a reliable vehicle that can get you from point A to point B. Have you noticed that the car buying process can often times be grueling and expensive? Well, hold on to your wallet because this auction is here to put your mind and money at ease! This auction has one lot that consists of a 2012 Chevrolet Malibu. This Chevy Malibu is medium gray in color, and it has 78,489 miles on it. This vehicle comes equipped with a 4 cylinder gas engine, automatic transmission, air conditioning, power steering, and power brakes. This vehicle may contain scratches, dents, dings, and chips, so if you would like to inspect it in person before deciding whether or not to place a bid then you must contact the auctioneer ahead of time to schedule an appointment. This auction is located in Kansas City, Missouri, and the closing time is on February 27 at 11:00 am central time. Right now the current bid is $5,000 and there have been 3 bidders so far, so be sure to be the very next one and drive away in the car you always wanted! For any further information, simply click here to subscribe to www.governmentauctions.org for your FREE 3 day trial. The Perfect Car For You! Have you been searching for the perfect car? Do you want a vehicle that is reliable and does not need a lot of work? Well, you are looking in the right place because this auction is just thing you need! This auction has one lot that features a 2010 Chevrolet HHR. This Chevy HHR is navy blue in color, and it has only 12,817 miles on it. This vehicle is operable, and it comes loaded with a 4 cylinders gas engine, automatic transmission, airbags, air conditioning, AM/FM radio, anti-lock brakes, anti-theft, cruise control, fabric interior, hub caps, intermittent wipers, keyless entry, manuals, power brakes, power locks, power steering, power windows, rear defrost, and tilt steering. There are some dents and other repairs may be required, so if you would like to inspect this car in person before deciding whether or not to place a bid then you must contact the auctioneer ahead of time to schedule an appointment. This auction is located in Grand Forks, North Dakota, and the closing time is on December 13 at 10:50 am central time. Right now, the current bid is $5,988 and there have been 4 bidders so far. For any further information, simply click here to subscribe to www.governmentauctions.org for your FREE 3 day trial. Rev That Engine Down The Street! Have you been dreaming about owning your own sports car? Do you picture yourself revving that engine and driving down the street? Well, get excited because this auction is here to make your dreams come true! 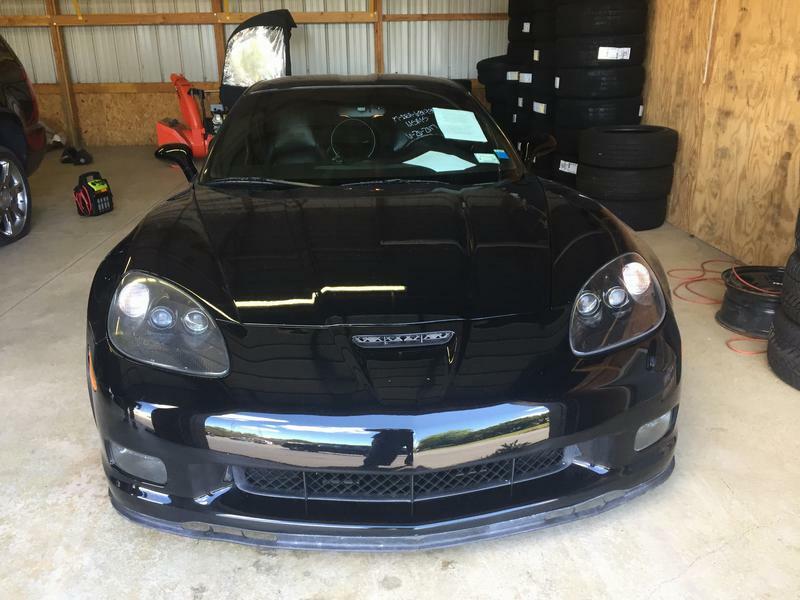 This auction features a 2006 black Chevrolet Corvette. This Corvette has 54,312 miles on it, and it comes equipped with manual transmission, 8 cylinders, power windows, power seats, power door locks, power brakes, power steering, air conditioner, 2 doors, leather seats, hardtop roof, AM/FM radio, after market JVC radio, alarm system, factory wheels, and one key. In the trunk there is an installed one punch boom box and one JL Audio JX500/1 amplifier. If you would like to inspect this amazing vehicle in person before deciding whether or not to place a bid then you must contact the custodian ahead of time to schedule an appointment. This auction is located in Hamburg, New York, and the closing time is on November 15 at 12:00 pm noon central time. Right now the current bid is $17,877 and there have been 13 bidders so far, so be sure to be the very next one and drive away in the vehicle of your dreams! For any further information, simply click here to subscribe to www.governmentauctions.org for your FREE 3 day trial. Have you been searching for that perfect pickup truck that you can drive anywhere? Well, your search stops here because this auction is here to help you find exactly what you have been looking for! 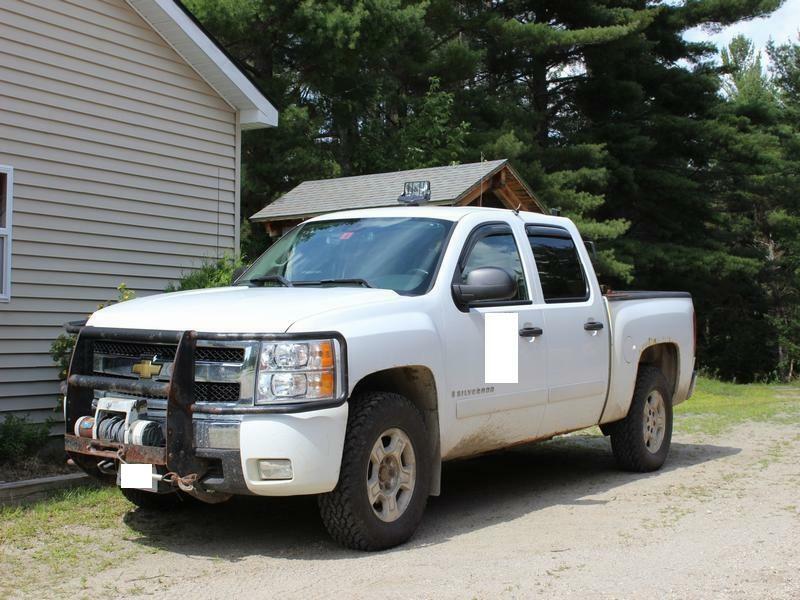 This auction consists of a 2008 Chevrolet Silverado 4×4 1500. This vehicle has 96,750 miles on it, and it comes equipped with an 8 cylinder gas engine, automatic transmission, air conditioning, crew cab, and winch. The tire pressure and service air bag lights are on, and the rear passenger brake assembly does not work and needs to be repaired. Other parts may be missing and some further repairs may need to get done, so if you would like to inspect this pickup truck in person before deciding whether or not to place a bid then you must contact the custodian ahead of time to schedule an appointment. This auction is located in Brunswick, Vermont, and the closing time is on September 22 at 6:21 pm central time. Right now, the current bid is $4,610 and there have been 7 bidders so far, so make sure that you are the very next person to lock in your bid and get your chance to acquire this vehicle! For any further information, simply click here to subscribe to www.governmentauctions.org for your FREE 3 day trial. Go For A Ride In Your Own Chevy Silverado Pickup Truck! Have you been looking everywhere for that perfect pickup truck? Well, buckle your seat belt and get ready because this auction is about to take you for a ride! 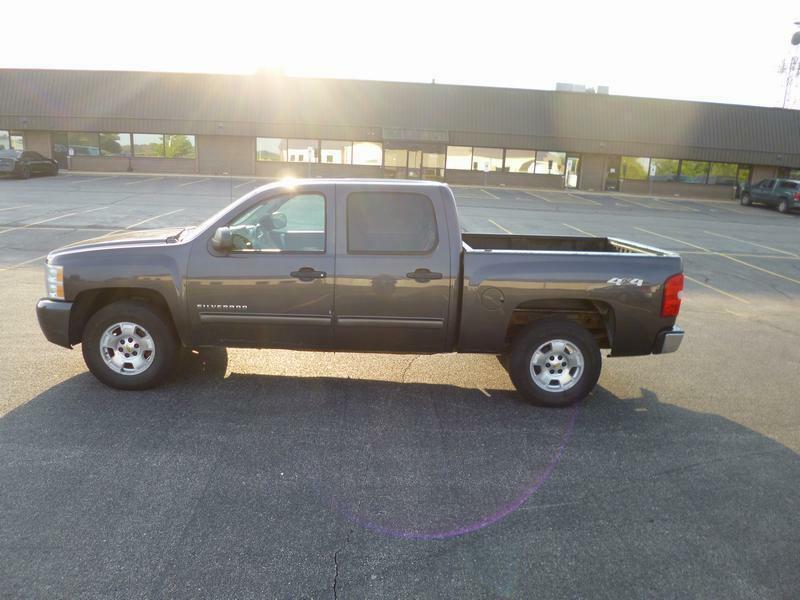 This auction consists of a 2010 4×4 Chevrolet Silverado with only 57,011 miles on it. This Chevy comes equipped with steering wheel controls, power steering, cruise, airbags, intermittent wipers, power windows, power locks, power mirrors, power outlet, tire pressure monitoring system, tachometer, trip computer, thermometer, 6 speed transmission, AC, heated mirrors, anti-lock brakes, daytime running lights, automatic headlights, fabric interior, adjustable seats, quad cab, bed liner, towing package, keyless entry, AM/FM/radio, CD, and clock. This vehicle was involved in an accident in August 2013. There is damage to rear quarter panel that was estimated at $819.23. There are dents, dings, and scratches that are present on the exterior due to use in the field. There is also some rust visible on the passenger side wheel well. Lastly, the park assist needs to be serviced and the rear sliding window is inoperable. If you would like to inspect this vehicle in person before deciding whether or not to place a bid then you must contact the custodian ahead of time to schedule an appointment. This auction is located in Springfield, Illinois, and the closing time is on September 20 at 3:05 pm central time. Right now, the current bid is $12,100 and there have been 11 bidders so far. For any further information, simply click here to subscribe to www.governmentauctions.org for your FREE 3 day trial. Take A Drive In This Chevy Cobalt! Have you been looking for a cheap vehicle that can take you from point A to point B. Well, you are in luck because this auction is exactly what you have been searching for! This auction consists of a 2007 white Chevrolet Cobalt with only 40,139 miles on it. This automobile comes equipped with a 2.2L V4 gasoline powered engine, automatic transmission, air conditioning, tilt steering, AM/FM radio with CD player, front and rear floor mats, and a spare tire. The engine, transmission, brakes, and tires are in good condition. The interior is in good condition with the exception of some stains on the front carpet, and the interior may have worn or stained areas. There is a crack in the front bumper, and there is a small dent on the right rear quarter panel over the tire. If you would like to inspect this vehicle in person before deciding whether or not to place a bid then you must contact the custodian ahead of time to schedule an appointment. This auction is located in Mc Guire Air Force Base, New Jersey, and the closing time is on September 6 at 10:51 am central time. Right now, the current bid is $3,001, and there have been 3 bidders so far. For any further information, simply click here to subscribe to www.governmentauctions.org for your FREE 3 day trial. A Large And Comfortable Car For You And Your Family! Have you been shopping around for a car that can seat your family comfortably? Are you noticing that brand new cars can be way too expensive? Well, get ready to have your problems solved because this auction is here to make your car buying process much easier! This auction consists of a 2007 Chevrolet Tahoe. This Tahoe is white in color, and it has 102,888 miles on it. This vehicle comes equipped with an 8 cylinder engine, 4X4, 6-speed auto, air conditioning, power steering, power brakes, and a spare tire. The sensor light for tire pressure is malfunctioning, so there will be some repairs that are necessary. Overall, this car will be great for you and your family because it is spacious enough to fit everyone! If you would like to inspect this Chevy Tahoe in person before deciding whether or not to place a bid then you must contact the custodian ahead of time to schedule an appointment. This auction is located in Las Vegas, Nevada, and the closing time is on August 17 at 10:21 am central time. Right now, the current bid is $6,311, and there have been 5 bidders so far. For any further information, simply click here to subscribe to www.governmentauctions.org for your FREE 3 day trial. This Chevy Tahoe Is Perfect For You And Your Family! A Great Car For You And Your Family! Check Out This Hot Ride! 2004 Chevrolet Tahoe K1500P: The Long Haul Is Here! 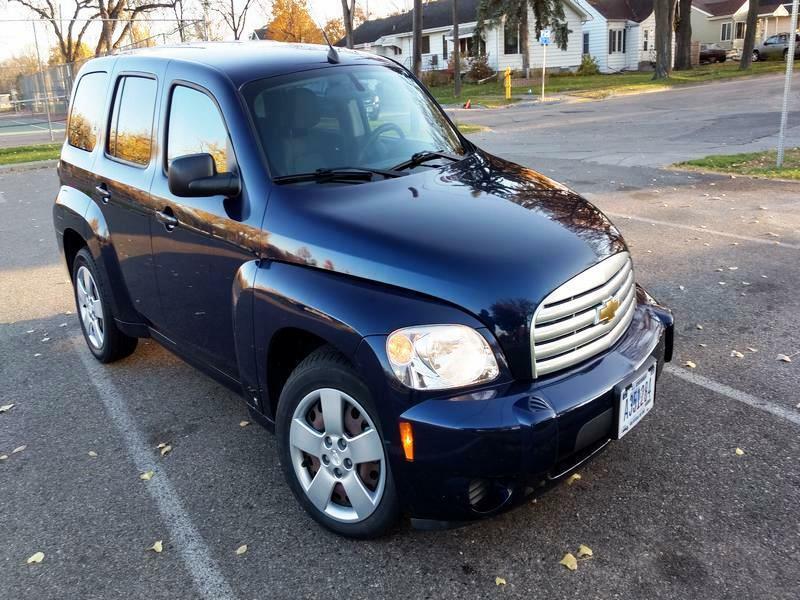 2010 Chevrolet HHR: The Ride Of A Lifetime!